“If you’re not living on the edge, you’re taking up space”. That is what one of the guides told us before we set out. I remember carrying the boat down the hill, pushing it into the water of the New River, feeling my legs become immersed in the surprisingly warm water. As we all climbed into the boat I was excited and anxious. Not knowing what to expect, but ready for anything. 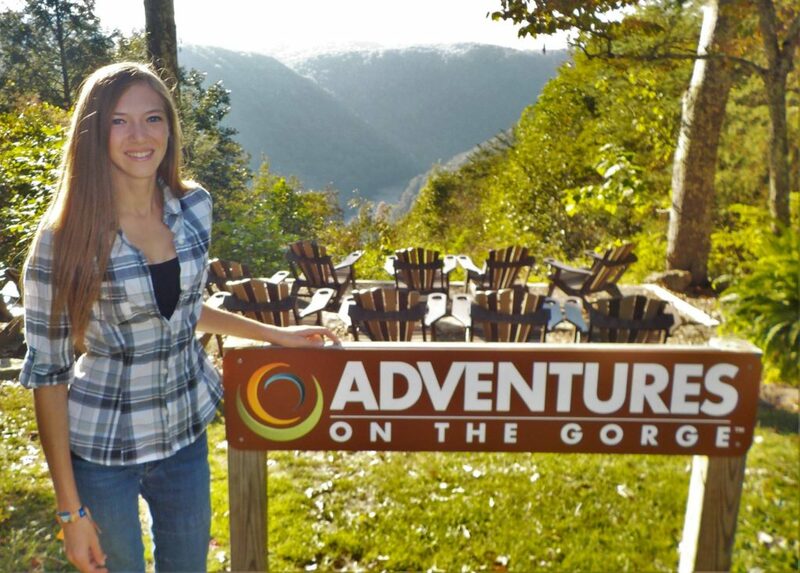 This is how my first whitewater rafting journey started out at Adventures on the Gorge with some of the new friends I’ve made at the Remington New Product Seminar! As we pushed off of the shore we came to our first rapid, this was a small, class one rapid; but being the first one I’ve ever experienced, it was like going down a waterfall! I remember the guide telling us to paddle forward as we began our descent into the water below us. As we crashed into the water, I felt the refreshing waves splash me in the face. We paddled over into a more calm body of water on the river known as an eddy while we waited for the other boats to come down the rapid. Once all the boats were down the rapid we began to paddle forward. As we moved down the river, crossing rapids and gliding through the eddys our guide gave us a historical tour of all the coal mining towns that once prospered along the river. As a history lover, I was enthralled by being able to see the remains of these towns. At one point you could even see where a bridge was built to cross the river, the steel cable still hanging from one of the stone pillars! The rapid I remember the most vividly was the known as Double Z, named for its shape. I distinctly remember this one because the guide told us we needed to go down this class four rapid sideways! As we went around the first turn, the river pushed us 90 degrees so the boat was facing forward again, then down the first slope we went. At one point we were paddling forward through the rapid, as I looked down I was paddling into the air. The front of the boat was in the air! The adrenaline had me shaking like a leaf, by far one of the most exciting things I’ve ever done! As we moved down the river we came up to the New River Gorge Bridge. I learned that this was the longest single arch bridge in the western hemisphere. For those seeking even more excitement, there is an annual event called Bridge Day. At this event you have the opportunity to BASE jump 800+ feet from the bridge into the gorge below! If you’re looking for some excitement and great outdoor adventure, you’ll love whitewater rafting! If you thrill seekers want to try something really cool be sure to check out Bridge Day, this year it will be held on October 15th. Stay tuned for more awesome outdoor adventures! 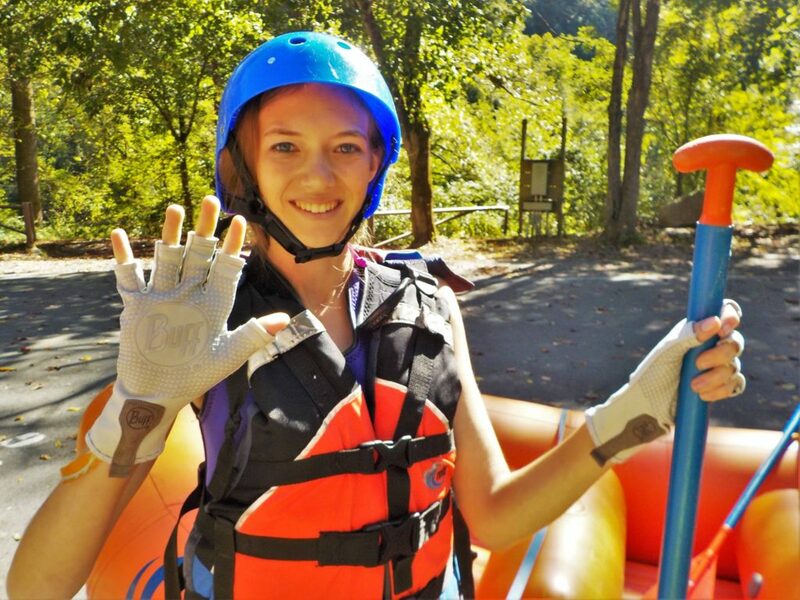 I want to give a big thank you to BUFF, Inc. for sending out the Sport Series Water 2 gloves that I used while whitewater rafting. You can check out my review here! I can’t wait until I can try that!